Today's WTF news story comes courtesy of The Hollywood Reporter, who is reporting that in light of Tarsem's Snow White project (starring Lily Collins and Julia Roberts), and Universal's Snow White and the Huntsman (starring Kristen Stewart), Disney is moving forward with it's own Snow White project, The Order of the Seven (formerly known as Snow and the Seven). 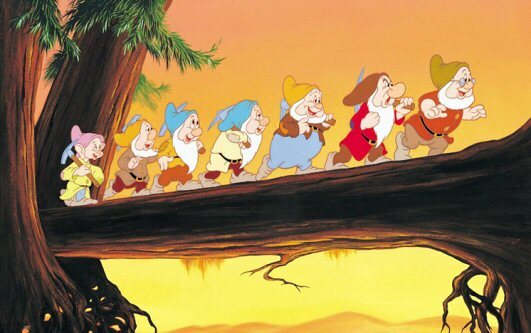 Focusing primarily on the dwarfs, the film will be a live-action epic set in China, directed by commercial director Michael Gracey and written by Michael Arndt (Little Miss Sunshine, Toy Story 3). The project has apparently been kicking around since 2002, only recently moving ahead with Arndt being brought on board to clean up the script. As to why it's being set in China...well...your guess is as good as mine. Blu-ray Review | "The Complete Jean Vigo"
Trailer: "The Skin I Live In"
First Look: "The Hunger Games"
Butch Cassidy Returns in "Blackthorn"
The Continuing Legacy of "Troll 2"
On "Rise of the Planet of the Apes"
Review | "Over Your Cities Grass Will Grow"